Today, I have tried to talk to strangers and was getting an error like “Omegle Error connecting to server. Please try again“. I am keep getting this message. There is a problem in video chat and text chat. If you also keep getting these messages today, don’t worry. It seems many one having same problem. I have asked my friend Germany to connect to Omegle and he said he is also getting connection errors. You don’t need to change your browser settings nor you don’t also need to change your computer settings for this error. It’s a Omegle related problem and it will be fixed soon by staff of the site. If you already keep getting this error because of other reasons, please click here to read solutions. Why are you getting connection error on Omegle? You have banned. Click here to how to remove ban. There are problems with your current internet connection. There are also problems with servers and you have nothing to do for that. You can find solutions to fix Omegle error connecting to server. Clear cache of the browser that you want to connect to Omegle because it will remove any data related with cache and flash. The browser should be Google Chrome or Internet Explorer since Ultrasurf is only working one of these browsers. We recommend Google Chrome for this. You can download Google Chrome free. Download Ultrasurf VPN on internet. Run the exe file, no need installation. It is a portable VPN. Click on Options on the program. You will see a number on “Local Listening Port”, you will need to assign a number between 26 and 65535. You will need to change this number until you find a clean connection to Omegle. (Sometimes they can be banned because they are shared IPs as same as other VPNs or they can have a connection error.) However when you change the port number, these errors can be fixed. This will fix connection error problem with Omegle. Go to the website again. You will need to try this (changing port and try enter to the website) over and over until you find a good connection. Couldn’t fix the problem? See Alternative Random Chat Sites here! Download Hola extension for Google Chrome.You can see details in the video. If Hola VPN didn’t work for you please scroll down to see options below. Please see if you continue to get error with Hola Better: Why I am Getting Connection Error on Omegle with Hola Better. If you are not using a dedicated IP for your internet connection, this step is going to help you because it is one of the most effective ways. Firstly clear cache of your browser and power off your router. Wait about 5 minutes and restart your router again. Your connection is going to have a new IP and you will also have a fresh start on the website with your new connection settings. Hit Win+R on your keyboard to open “Run”. Type “CMD” to the empty field on Run page. Type “ipconfig /flushdns” to the black command screen and hit enter. Wait until you see the “Windows IP configuration successfully flushed the DNS Resolver Cache.” message on command line. Finally try enter to the website again. We have told you why a VPN Service doesn’t work on Omegle. You can click here to see that. 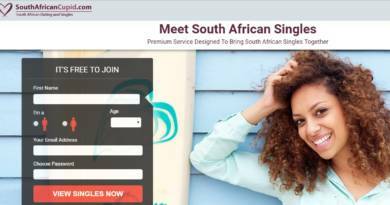 We recommend using Hola Better or Hotspot Shield for Omegle but if these services don’t help you, you can give a try many alternative services. You can take a look at all VPN options for Google Chrome via clicking here. If you able to find a clean connection with clean IP with one of these services, you will able to connect to the website. If all steps didn’t work for you above, please take a look steps below. The problem can also be related with your internet connection. Please restart your internet connection first. If it didn’t fix your problem, go next step. 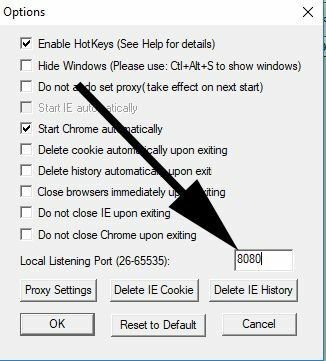 Clean all your cookies and try to connect to the website again. If it didn’t work, please go next step. Try change your browser. We recommend Google Chrome for usage of the website. It gives the best performance in video chat sites. If you already use Chrome, try Mozilla Firefox or another quality browser. Take a look at your firewall settings in OS. If you ever see anything related with Omegle please unblock it. Try uninstall or deactivate your antivirus and take a look at your antivirus firewall settings. Finally if you couldn’t manage to resolve problem yet, send a feedback to to the website about situation. If you don’t know how to send a feedback, please click here to learn how to do it. This is the video about connection problem only. (It is not a solution video, we provided it because not to confuse with other problems.) If you ever get the same problem with this, we recommend you to do the all steps above. The problem is sometimes appearing on the site because of server problems. You should keep clicking on next button to connect to strangers. If you would like to connect strangers faster you can keep “ESC” button in your keyboard. It will help you to use the site faster. If you don’t want to chat any other website, there are many alternatives for Omegle, you can join that sites and you can meet with new people. Couldn’t fix Omegle error connecting to server? These websites can be also good for you. If you also have any questions regarding this error please let us know with commenting this page. We are going to respond you as soon as possible. You can find some questions from our users at the following paragraphs. I have followed all instructions you have provided on Omegle Error Connecting to Server. However I am still getting the same error with Hola VPN. Why do I keep getting this error? Can you please help me about that? Firstly you will need to be lucky with connecting to Omegle with VPN services. Why? It is because all IPs on VPN services are shared and while you are connecting to Omegle with those IPs, someone else also connecting to the website with same IP with you. If he/she does something bad on the Omegle and if he/she gets banned from the service, you will be also banned with that IP. Sometimes bans can be reason of Error Connecting to Server problem on Omegle. The other reason of this, staff can block some VPN and Proxy IPs. If they find out Hola VPN’s IPs, they won’t allow connections from those IPs to reach their server. So you will need to try another IP through Hola VPN or you will need to try another free VPN service. 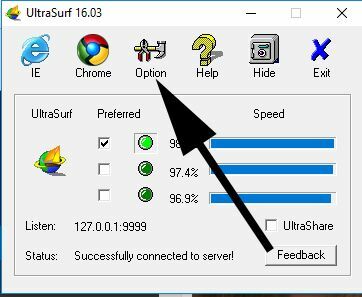 We recommend you to give a try Ultrasurf because it is a bit better than others. You can click here to see all VPN options on Chrome Store. We have told you how to fix Omegle error connecting to server problem on this page for you. If you have any questions in your mind, you can also ask us with commenting this page. Very nice! Thanks! Restarting connection helped me for this. I am from Wedge Island, Western Australia. I am keeping getting this error. I have joint the the website last day and it was working perfectly. The problem has occured today and I couldn’t fis it yet. Hello, Mark! Thanks for the feedback, did you clean cookies and restart your internet connection? Emerald chat is quite nice. I recommend you to use it. I should point out that you should remove the send back to feedback part, as omegle has removed that completely. If I get the problem shown in the video, do I just have to wait and it eventually should work? It’s only been doing it for a day now. Sometimes this problem occuring because of a ban too. Well, a few hours is good enough to wait but a day is too much.